UAE is not only known for providing best business and job opportunities for people of different nationalities but the country is also preferred by expats from around the world due to high level of security and peace provided by the government of UAE. The government is trying its best to ensure complete safety of its citizens and residents and take important measures from time to time in order to ensure peaceful life in UAE. Recently, a criminal incident in Sharjah showed that the person behind this act was also convicted in his country of origin and he had criminal record there. Therefore, the government decided to make sure that a person would not be allowed to come inside UAE on work visa if he/she is already involved in any criminal activity in his/her country of origin or the country in which he/she is staying since last 5 years. In order to make UAE as one of the safest countries in the world, the government has decided to make it mandatory for people of other nationalities to bring good conduct certificate from their home country before applying for work visa. If the applicant is living in any other country since past 5 years, then he/she will have to bring good conduct certificate from his/her country of residence. Pakistanis are present in large number in different emirates of UAE and there are lots of lucrative job opportunities available for them in the country currently and also in the future. 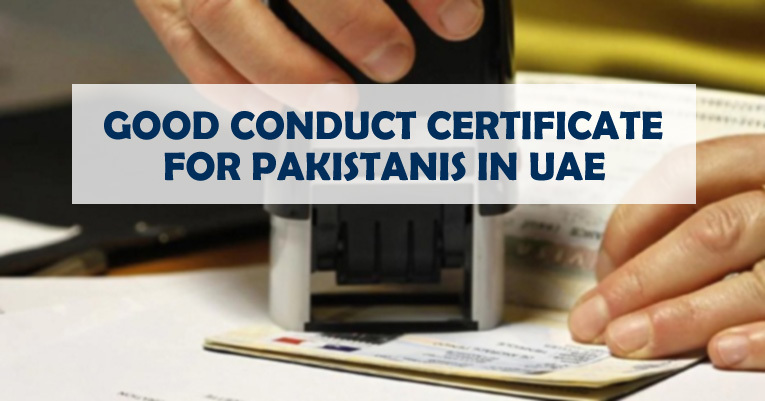 But now after the announcement of new rules, all the Pakistanis interested in getting a job in UAE will have to produce good conduct or Police Clearance Certificate (PCC) before the related authorities of UAE. These are basic steps and important points required for Pakistani workers who are intended to attain work visa for UAE. For complete information and practical assistance on the matter, you can contact Riz & Mona Consultancy via our WhatsApp # 971-56-9971225.